For the past two decades, MSC has offered reefer services to and from Canada. These services are growing, as they are elsewhere around the globe. 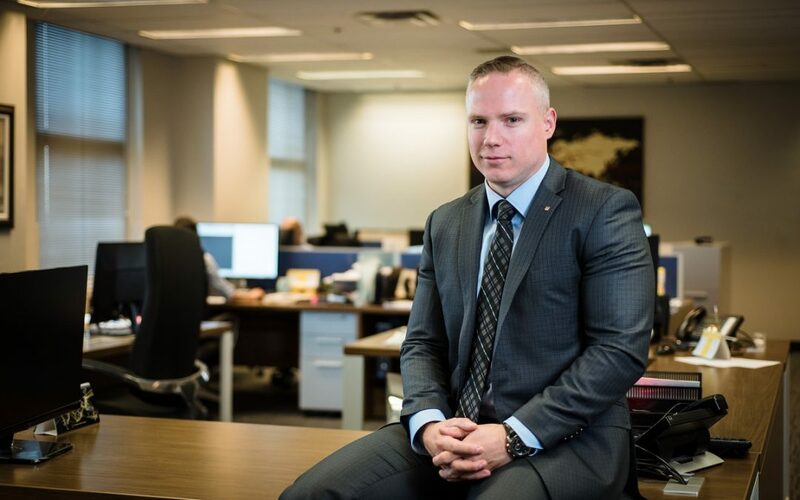 On the export side, Canada’s overall containerized export reefer traffic was up eight per cent last year, while dry cargo business was up six per cent, according to Darren Edwardson, Vice-President Commercial Export. Average annual growth in Canada’s containerized reefer traffic has been around five per cent over the past couple of years. While almost everybody associates temperature controlled transportation with food products in Canada, especially products such as poultry, pork, beef, seafood, fruits and vegetables, a lot of pharmaceuticals and flower bulbs are also shipped in reefers. However, while most people think reefers are for frozen products only, “temperature controlled” spans a wide variety of temperatures, from 30 degrees below zero for some frozen products to above freezing temperatures for most refrigerated products. MSC uses two different reefer models, namely thin line and prime line. The thin line ranges from -25 to +30 C and the prime line ranges from -30 to +30 C. They are both for frozen foods with seafood requiring the deeper freeze, said Mr. Edwardson. Asia is the largest export market from Canada out of both Vancouver and Montreal. But Africa has seen some growth as the continent develops a taste for western products. Russia was once an important market for Canadian reefer exports, but sanctions against the country have diminished demand. When food is exported from Canada, the Canadian Food Inspection Agency (CFIA) sets the standards and testing criteria of products for diseases and bacteria, whether they are being shipped by air or sea. Most products need certification and the freezing time and temperatures are verified. “Once that is all passed, the containers are checked by CFIA to make sure they’re in good order. We don’t want to load containers that have mechanical defects, or whose reefer unit is not set properly or functioning properly. MSC has a segregated area for its reefers at the Maisonneuve and Viau terminals at the port of Montreal where they are monitored by the terminal operator. Hunt Refrigeration does the pre-trip inspection to ensure the units are set to the required temperature and settings. From a capacity standpoint, MSC has between 200 and 500 reefer plugs on its vessels calling eastern ports. However some vessels operating out of Vancouver can have upwards of 1,000 plugs. Reefers transported by train are clustered together and tied into one power generator, usually in groups ranging from of six to eighteen units. To help forecast local demand for reefers, and assist in the scheduling of service, MSC has service contracts with major clients that contain “Take or pay provisions”. However, the latter provisions are considered contract mechanisms of last resort, after all other efforts of accommodation have been exhausted. MSC hopes to reap benefits from the Comprehensive Economic Trade Agreement with the EU and Trans-Pacific Partnership, particularly on the export side. “It comes down to the savings on the duties that will allow Canadian exporters to ship more, and importers to buy more. We’re hoping to increase shipments of frozen produce, and we are hoping that on the seafood side, we will see increases as well. “We are a country that is able to produce high volumes of agricultural products that other countries want. The low Canadian dollar helps to keep us competitive and in some cases, our operating costs are lower, which is another help. And in certain product categories, the quality of Canada’s products as beef or pork or seafood is a strong consideration underpinning strong demand for Canadian farm products.